There were some great "LOL" moments in this book! Maggie a.k.a. Gran was hilarious. She was just what uptight Liz needed to get out of her comfort zone. Gran's new adventurous outlook on life has her grandsons all in a tizzy, especially Ryan. He hires Liz to watch out for Gran and to talk her out of her crazy shenanigans. Ryan & Liz are thrown into chaos when an unexpected visit from Liz's sister effects both their families. Both Liz & Ryan have let things from their past mold them as adults. They help each other deal with those issues all the while trying to keep up with Gran. This was a great start to a series I know I'm going to really enjoy. The characters are funny & endearing. Recommended for 17 & up. Mild language & moderate sexual content. I live near Austin so I LOVED that this book was based there. Mariely was an amazing character. I would have loved to see her sense of style on the cover. I liked how determined she was not to let her circumstances hold her back. Mariely & Cabot both do an excellent job of calling each other out when it comes to dealing with their personal issues. While their past relationships seemed to hold them back, their "fauxmance" pushes them out of their comfort zones and into something much better than they ever imagined. In the end, things fall into place and the scene is set for other characters to take center stage. That last sentence is really clever after you've read the book. I'm looking forward to reading the other books in the Creative HeArts series. Recommended for 15 & up. Mild language & sexual content. If We Were a Movie by Kelly Oram (Power of the Matchmaker #3) Music meets Movies in this sweet college romance from the bestselling author of Cinder & Ella. NYU freshman Nate Anderson is a triplet who is desperate to escape his wild and crazy brothers. After they screw things up for him one too many times, Nate flees his housing situation and takes the first available room for rent as far from his brothers as he can get. Enter his new roommate Jordan--a quirky LA girl who believes that everything in life has already been done in the movies. In this heartfelt tale of love, friendship and family, Nate learns how to deal with his new adult life using Hollywood films as a guide. 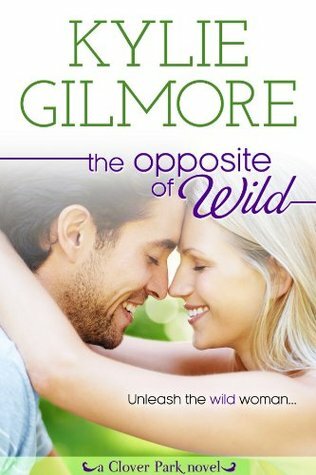 I loved this book just like I love EVERY, sappy, happy ever after, Hallmark movie. That's right! I am one of those women who will watch every single Hallmark movie at Christmas, Valentine's & basically anytime I can get a 2 hour window without my husband & kids. I record them until my DVR is almost out of space. I don't care if the plot is basically the same, or that the endings are "cliche'". I. Love. Them. This book was all the things I love about those movies. The movie, music & pop-culture references were the sprinkles on the sundae. There's a great ice cream theme happening in this book too so that previous sentence is pretty perfect, if I do say so myself. Nate & Jordon are fantastic! Their quirky way of finding a movie or song to describe the awkward situations they find themselves in is comical. Then there's Nate's brothers, Chris & Tyler, who make Nate's problems 10 times worse in the most hilarious ways. Throw in a conniving, psychotic girlfriend, a very outspoken gay friend & you have the perfect rom-com in the making. The pace of the story is just right. The characters and setting are extremely well written. I will be looking to read more of Kelly Oram's books if they're all as good as this one. "Amazing concept with movies as chapters, and fantastic storyline." "I loved this story and was humming along to the songs from the book whilst reading. I can see this book becoming the movie it was written to be." "If We Were a Movie made me want to binge watch movies, listen to old playlists and re-read it all at once." Let's face it. I'm never going to adequately express the awesomeness of this author & series. Awesomeness isn't even close to describe the gift Ednah Walters has when it comes to weaving the intricate tapestry of these books. Not only did she take 3 books, in 3 different POVs, with essentially the same story and make each one unique; she had twists & surprises that kept each book interesting. 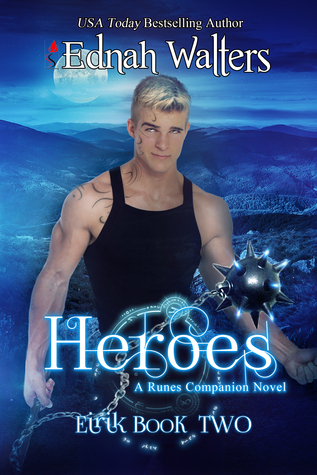 The 3 books I'm referring to are Souls (Runes #5), Witches (Runes #6) & Heroes (Eirik #2). Heroes is from Eirik & Celestia's POVs. 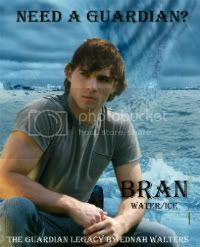 If you're familiar with this series, Eirik is Raine's bestfriend/brother from another mother. From the time they were small children Raine & Eirik had each other's backs. And while they've both started forging their own paths they're still there for each other when the need arises. Eirik has literally been to Hel & back. Now that he's come to terms with who he is and his linage he's ready for some revenge. The only thing distracting him is Celestia. She's determined to keep her distance knowing that Eirik has duties to fulfill. She doesn't realize it's not the dragon's kiss that pulls them together but a bond stronger than any magic could conceive. Having read the other two books, Eirik & Celestia's POVs were a fresh look at things that were happening only in the back ground of the other books. It's like seeing the story in 3D and all the behind the scenes stuff too. I got so many answers to questions I didn't even know I had! There is a slight cliff hanger at the end to set us up for the next epic installment. You can't read this as a stand alone. But why would you want to? Start this series and join the adventure! Recommended for 14 & up. Mild to moderate language & sexual content. I received this ARC from the author in exchange for my honest review. That pretty much sums up Taylor's predicament. She's put her trust in the wrong person & now all her hard work will seem wasted. I think Taylor showed some great maturity in most of her decisions. The pressure she put on herself added with that of her family's demands caused her to make a bad choice. Taylor does a good job of taking responsibility for her actions and accepting the consequences. When most kids in her position would have felt entitled, Taylor changes her whole life and adjusts really well. I loved Ezra. I liked how he & Taylor supported & encouraged each other. Both come from families that have high expectations. That's not necessarily a bad thing but sometimes those expectations can be so high they inhibit instead of help. This is a fantastic story about learning from your mistakes and growing from them. 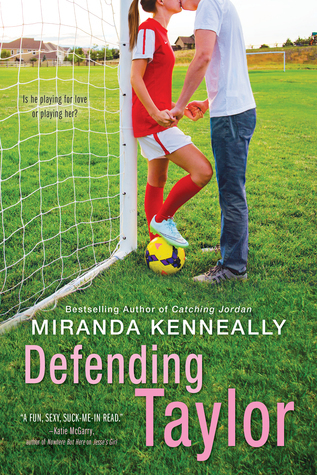 The writing is as awesome as Jesse's Girl, also by Miranda Kenneally. I love all her books! Moderate sexual content & adult situations. I received this book from the publisher through NegGalley in exchange for my honest review.